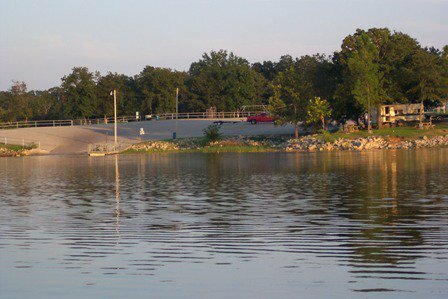 Okemah Lake provides a public park with fishing, swimming, boating and camping with 18 RV sites with water and electric hook-ups as well as several primitive sites. Facilities include restrooms, showers, two boat ramps, a handicap-accessible boat dock, picnic areas, outdoor grills, covered pavilions, two playground areas and off-season facilities. A dump station is available, and full-time rangers work on-site. 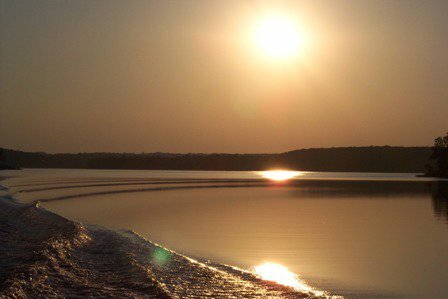 Okemah Lake offers a very peaceful, clean and relaxing setting. 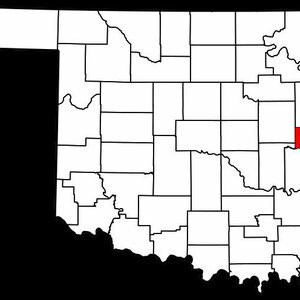 View a detailed Okemah Lake map. Park open from sun-up to sundown. Monthly camping rate: $400 for 30 days While every effort has been made to ensure the accuracy of the pricing listed above, prices are subject to change without notice. Take Okemah Exit 221 off I-40. Travel approximately 6 miles north, then 2 miles west.